For over 100 years, Washington County Hospital and Clinics has been providing healthcare services to Washington County and the surrounding community residents. 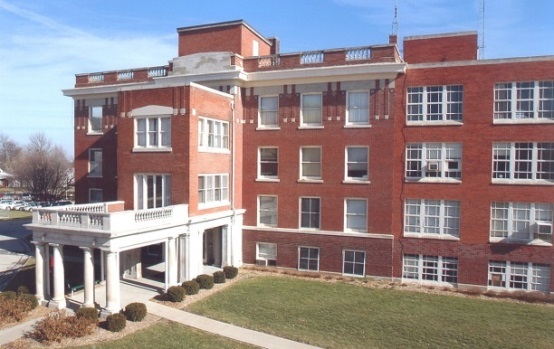 In 1907, a group of local physicians and a nurse established the five-bed Washington City Hospital in the nurse's home on North Iowa Avenue and by 1910, the need for an expanded facility was evident. Our ability to build the required facilities relied on Elbert Ervin Munger, MD, from Spencer, Iowa. He wrote and secured legislative support for a bill designed to permit residents of a county to vote on a special tax allowing for the construction and maintenance of a county hospital. This bill was signed into law by Governor Beryl. F. Carroll in 1910 and became known as the Munger Bill. On November 8, 1910, Washington County voters approved a tax levy that would yield $25,000 in funds for a hospital building. 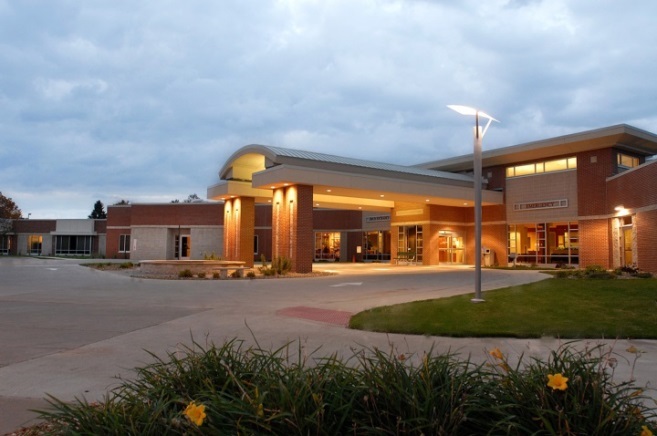 Of the eight counties seeking approval for these funds, only Washington County voters approved the levy, thereby becoming the first rural county public hospital in Iowa and the nation. The original hospital was built by securing additional funds from private and corporate donations and opened in 1912 at an approximate cost of $41,000. An eleven acre tract of land was donated for the site of the hospital by William Perry Wells. The original building was a three-story, 40 x 80 foot structure with a basement. There were nineteen private rooms and two rooms with three beds each. The opening ceremony was held on July 15, 1912, with over two thousand people touring the new facility. Doors opened for business the following day. In 1940, a $75,000 bond issue was voted on and passed for a new addition to the original building. The construction was finished and opened in 1941 with 15 new beds. By 1965, it was recognized the 53 year-old original building was outdated and plans were made for a complete replacement facility. This was motivated by the hospital receiving a $250,000 contribution from the Dora Jones estate. Additional funding was secured by a $750,000 bond issue and $544,000 through the Hill-Burton Act. The total cost of construction of the new building was $1,544,000. Plans for the new hospital detailed a one-story structure with 50 beds including 41 medical/surgical and 9 obstetrical beds. Additional space was incorporated for physical therapy, inhalation therapy, radiology, surgical suites, laboratory, emergency room, and three special nursing unit beds. The new construction took approximately two years and the building was dedicated on May 15, 1968. Due to an acute shortage of nursing home beds in the community, the original building was transformed into a 43-bed long-term care facility. The hospital provided the nursing home with utilities, dietary, and laundry services. The old and new buildings were connected a long corridor nicknamed "the tunnel." In 1976, the Washington Medical building was constructed on campus at the east end of the 1968 building. The Washington Medical Clinic was a private physician practice and the facilities were leased by Washington County Hospital. By 1988, the original building had deteriorated further and the need for a new long-term care unit became imminent. This unit was constructed and connected to the 1968 building at a cost of approximately $750,000. The one floor, 43-bed unit was dedicated in February 1989 and named the M.L. McCreedy Home, after one of Washington's most noted physicians. A second private physician practice was built on the hospital property in 1990 at a cost of $298,700 and operated as Family Practice of Washington. This clinic operated on the hospital campus until 2011, when they moved into a newly constructed facility on South Iowa Avenue. Phase I was an expansion of the medical office building and was completed on August 15, 1998. Phase II construction began on May 4, 1998 and featured new areas for the emergency room, specialty clinic unit, cardiac rehabilitation, respiratory therapy, rehabilitation services, patient registration, gift shop, and a conference room. The area opened on December 21, 1998. Phase III started in early 1999 and included the renovation of existing hospital space. Over 4,000 square feet was renovated to add new space for laboratory, imaging, same day surgery, and ambulatory care. Through the vision of the Board of Trustees and the support of the community, the hospital embarked on a $22 million state-of-the-art healthcare facility in 2006. A groundbreaking ceremony was held on Friday, May 9, 2006. The grand opening was exactly two years later on May 9, 2008. The project was completed in two phases. Phase I was a new hospital including over 60,000 square feet of space including private medical/surgical rooms and a family birthing center. Also included were new areas for surgery, ambulatory care, respiratory therapy, emergency room, laboratory, radiology, cardiac rehabilitation, and specialty clinics. Phase I was completed the summer of 2007. Phase II included 28,000 square feet of renovated space including a new aquatic pool for physical therapy, a new dining/activity room and office space for the McCreedy Home, office space for administration and patient accounts, and an education classroom. During this time on July 1, 2007, the Washington Medical Clinic joined the WCHC team as a provider-based clinic. Acquired the Family Medicine Clinic with 5 physicians and 1 nurse practitioner in February 2014. Developed a Cardiology Clinic in May 2015 to provide full-time cardiology services and cardiac rehabilitation to Washington County and surrounding areas. In December 2015, WCHC acquired Beans Pharmacy, a retail pharmacy with a long history in Washington. With the addition of a retail pharmacy, WCHC has increased programming to address preventative health and disease management. Opened the Neurology Clinic in April 2016 to provide full-time neurology services and home sleep studies. Developed a long-term care program to provide on-site care for the nursing homes in our service area in January 2017. Developed a Hospitalist Program in February 2017 to provide specialized care and coordinated care for patient's admitted to the hospital. To expand our healthcare reach and continue the tradition of caring in Washington, WCHC will continually evaluate and develop services and facilities delivering on our promise to provide quality healthcare that puts people first.